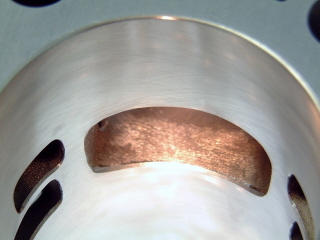 You may already be dealing with a machine shop that offers similar services. But we have something that is better suited to motorcycle engines. 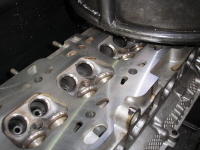 Most modern 4 stroke motorcycle engines have small valves with skinny stems, this means that there is less room for error, seats must be perfectly round, the correct width and in alignment with the valve guide. There are a few ways to tidy up a valve seat. (1) Spend an hour or 2 lapping valves, this can result in a curved seating area that changes contact pattern as the valve heats up and expands. 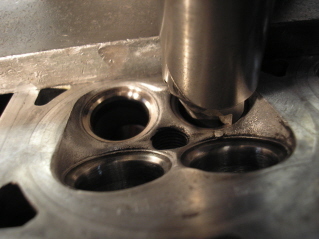 (2) Use a cylinder head machine which air floats a large cutting head into place over the valve seats and cuts it with a form tool, not easy when the cutting head weighs 100kg and the pilot is 4mm in diameter. (3) Send the cylinder head to NZ Cylinders, we use a machine suited to small cylinder heads and tiny valve stems, instead of air floating a cutter head into place and relying on the pilot fit in the valve guide the MIRA microprocessor controlled system uses servo motors to automatically set the working spindle to the precisely calculated centerline of the valve guide. This ensures, that perfect concentricity and accuracy is obtained with each valve seat. The seat is then cut with a form tool to the manufacturer's specifications: you will never need to lap valves again. We vacuum test every job to ensure a perfect seal.